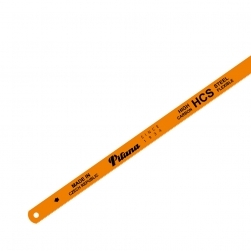 Double sided hand hacksaw blades MYROS SPECIAL KOMBI new product of PILANA Metal. 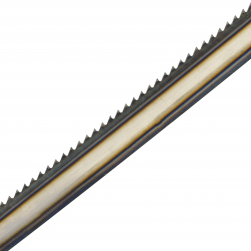 Blades are hardened in oil, which is also used as rust protection. 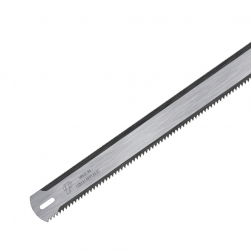 The blades offers best price/performance ration on the market. 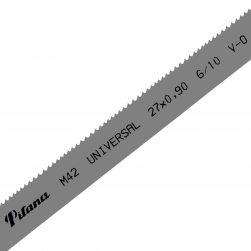 Added value is the possibility to cut metal and wood with one blade. 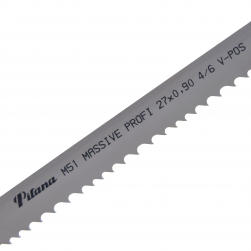 On one side of the saw blade are teeth for steel cutting with 24 TPI, and on the other side are teeth for wood or plastics cutting with 8 TPI or 14 TPI. 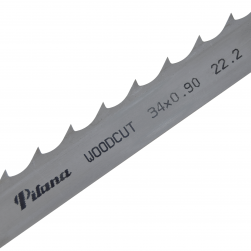 Blades are packed in cardboard boxes of 100 sheets or 72. 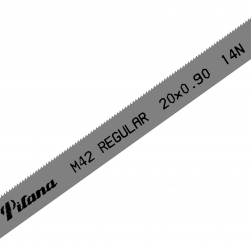 The weight of the packing is 3000 grams or 2660 grams according to the blade size.